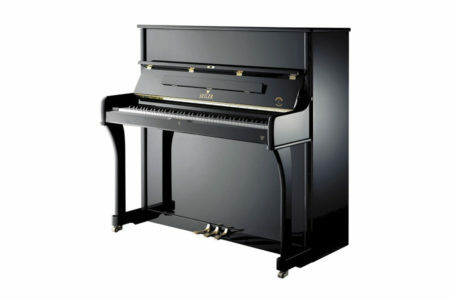 The Johannes Seiler GS-122 is an elegant home piano and welcome addition to the family of Seiler Pianos. 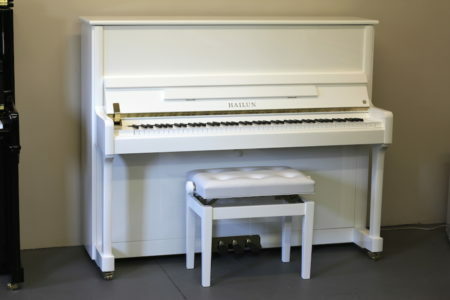 This professional upright wraps contemporary European design around an outstanding instrument selected by Seiler Germany. 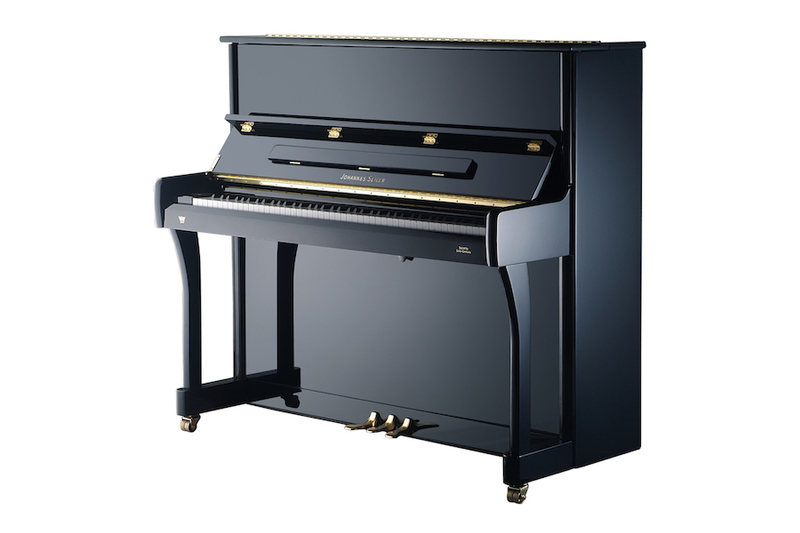 Musically, the Johannes Seiler GS-122 offers greater dynamics, longer sustain, and more subtlety than its smaller brothers. 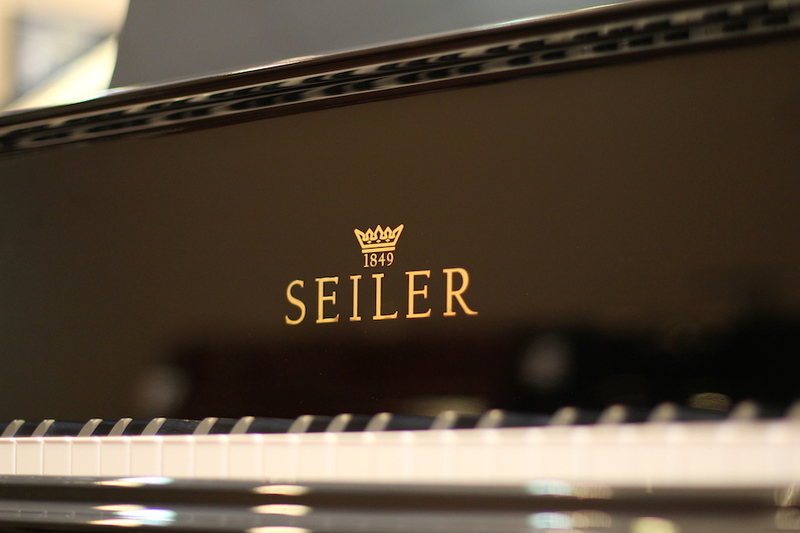 This piano features many of the materials and design priciples of the legendary Seiler brand. 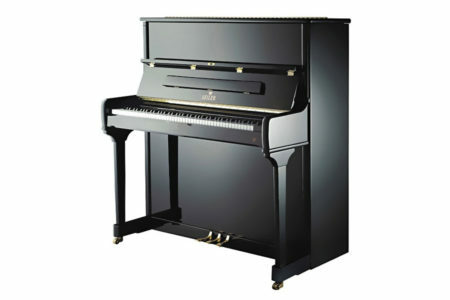 With Johannes Seiler pianos, you can also take pride in their appearance. Details of the style include soft lines, gently swept legs, and round edges when many alternative brands offer uninspiring black boxes. 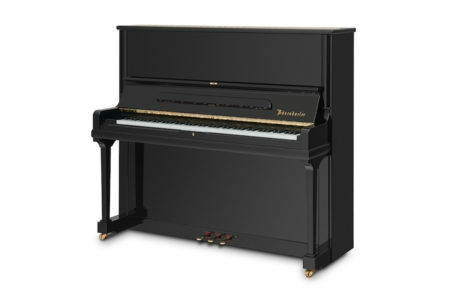 Currently, this model is available with nickel hardware (GS-122N).